Comments: New Condition, 272 Pages, Paperback Edition, Excellent Customer Service. Comments: No marks in book. Moderate wear. Comments: Meets the good condition guidelines. Has a minor spine crack. Has wear. Five star seller - Buy with confidence! Comments: This book shows signs of wear from consistent use, but remains in usable condition and works perfectly. All pages and covers are intact, however may have aesthetics issues such as small tears, bends, scratches, and scuffs. Pages may include notes, underlines and highlights. Your Satisfaction is Guaranteed. 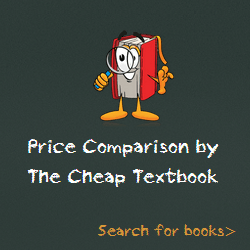 This entry was posted in Book and tagged 1433805618, 978-1433805615, 9781433805615, Top Sellers on January 9, 2014 by Textbooks.